It is Bill's easygoing approach to cooking that is an essential factor in his enduring popularity. Born in Melbourne, Australia, Bill moved to Sydney, where he first started cooking professionally while studying at art school. Bill opened his first, highly successful restaurant, bills, at the age of 22, in 1993. Two more Sydney restaurants followed (in 1996 and 2004) and in March 2008 the first bills outside Australia opened in greater Tokyo, by the beach in Kamakura. All restaurants are adored by locals and tourists alike who often queue around the block waiting to sample the signature scrambled eggs or ricotta hotcakes with banana and honeycomb butter. In Japan the wait for a table has been known to be three to four hours! Bill’s cookbooks — bills Sydney food; bills food; bills open kitchen; simply bill; Every Day; Holiday and Feed Me Now! — are all international best-sellers. He has sold more than 850,000 books that have been translated into five languages. Bill is a regular contributor to magazines in several countries including Australia, the UK and the Netherlands. His television series, bills food, launched in 2004, is broadcast worldwide in no less than 27 countries and has been watched by more than two million viewers per episode in the UK alone on the BBC. 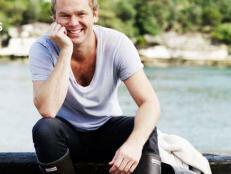 His new TV series, Bill’s Holiday, first aired in Australia in February 2009 and the UK in July. Bill will open another restaurant in Japan and his first London restaurant in 2010. 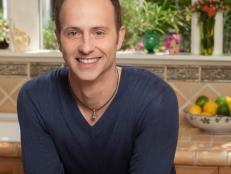 With a lifelong passion for food and cooking skating superstar Brian Boitano premiered a Food Network cooking series What Would Brian Boitano Make? in August 2009. In the series Brian takes viewers on a reality cooking adventure as he creates amazing food for a new event in each episode focusing on innovative but accessible dishes. Learn more about Cooking Channel's Daisy Martinez, host of Viva Daisy!, and about quick and simple Latin cooking. Get to know Annie Sibonney host of From Spain With Love. After graduating culinary school Eden Grinshpan hit the road to explore the world. 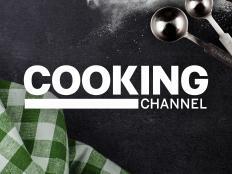 On Cooking Channels Eden Eats she lands in different U.S. cities to meet the imigrants who have brought their culture to America through food. Learn more about Cooking Channels Nigella Lawson host of Nigella Kitchen Nigella Feasts and Nigella Express and learn how the Domestic Goddess creates quick and easy meals and feasts.